The last couple of decades have seen man achieve so much. He has improvised on the old and developed new technologies to enable an easier life. Gadgets now exist for every perceivable function that man can think of. It is an exciting time to be in the world. The Tag In is a super cool gadget to own if you are in the habit of misplacing or losing expensive and valuable stuff. 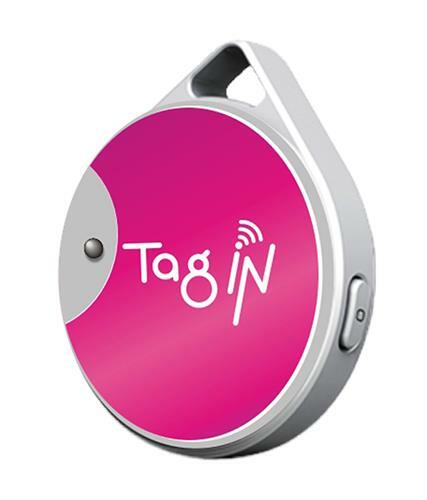 The Tag In can be your electronic assistant that prevents loss or theft of your valuables. These could be anything, from your wallet, to your keys, mobile devices and even hard copies of important documents. The gadget is amazing and can act as an anti-theft device. You just need to affix Tag Ins to your possessions and connect them to your smartphone via Bluetooth. That's all that is needed to be done. Whenever you leave a place without collecting the tagged item an alarm will sound on the smartphone and the item, alerting you. This works even if someone tries to steal the tagged stuff; the alarm will sound the minute the thief walks a few feet away from you. In case you miss the alarm; you can rely on the cloud-based real-time backup to locate your item. This cool device comes with a 6 month battery life, working round the clock. It is compatible with Android phones (4.3 and higher versions) and iPhone 4S/5, as well as all the iPads. At Rs.899 on Snapdeal you get this highly customizable device that is simple to use and has an intuitive user interface. Made from ABS plastic this is digital alarm clock is designed to replace your mom's incessant wake-up calls. It makes an ideal gift and is perfect for anyone who just won't wake up when they have to. 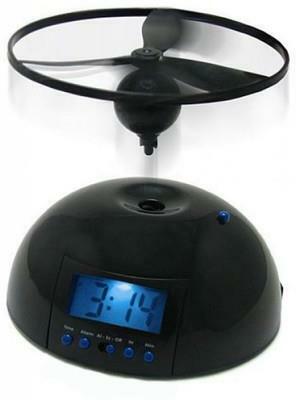 The UFO Flying alarm clock has rotors akin to helicopters which releases and flies off into the air when the alarm goes off. The alarm keeps ringing until the rotor is placed back on the clock. Which means that you have to get out of bed, search for the rotor on the floor and replace it back on the clock, for it stop ringing. All this action is enough to have you wide-awake! The alarm clock is selling at Flipkart at Rs.1,075. The digital display on the clock is powered by lithium batteries that are provided with the clock. For the alarm an additional four, AA batteries are required. Amazon India is selling the ePromoters 8GB Spy Wrist WATCH with Stainless Steel Strap, DVR Camera for Audio-Video Recording at Rs.2,299. You can start playing James Bond with this very reliable spy camera. The device looks and works like a real wrist-watch and an elegant stainless steel strap completes its look. The spy camera is inconspicuous within the dial. 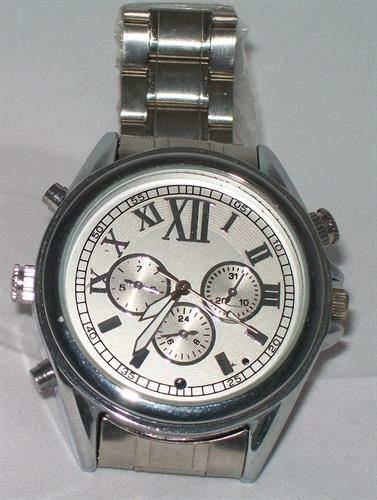 The spy watch records high quality audio-video with time stamp and stores it in the Build-up memory. The recordings can be transferred to a computing device using a USB cable. The watch works as a standalone camera as well. The camera can be charged using the USB charger. The spy watch needn't be used to record sinister events. Think of it as a fun gadget to own, you can film a daring day light robbery without drawing too much attention to yourself. You can use to film everyday events, like your bus trip to college each day, or a lecture when you're tired from a late night movie to pay attention to the professor. This is a funky clock, and just the piece if you want to bring in an element of unconventional individualistic style into the interiors. The clock promises to be the centre of attention where ever it is placed. 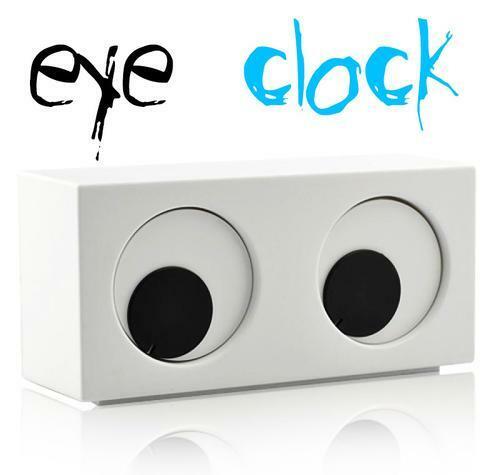 It's a rectangular boxed clock with two irises that show the time. There are no numbers and no hands on this clock. The eye balls move around the 'pupil' – the hour is displayed by the left eye and the right eye displays the minutes. As the time ticks the face of the clock changes too, making it appear as though it's making eyes at you. Buy it today at excluzy for as little as Rs.899 - a fair enough price for a pièce de résistance! Bring home technology, make life easier or slightly quirkier! Either way you only stand to gain. These unique gadgets are cool - some simplify things while the quirky puts a smile back on your face. Both, essentials to cope with the hectic pace of life we lead. Great deal of gizmos. The fact that the world is turning tech-savvy is evident from the kind of devices coming up. What we once used to see in the sci-fi movies of Hollywood is now coming into reality.